Thank you for your interest in The Complete Ticketing System. 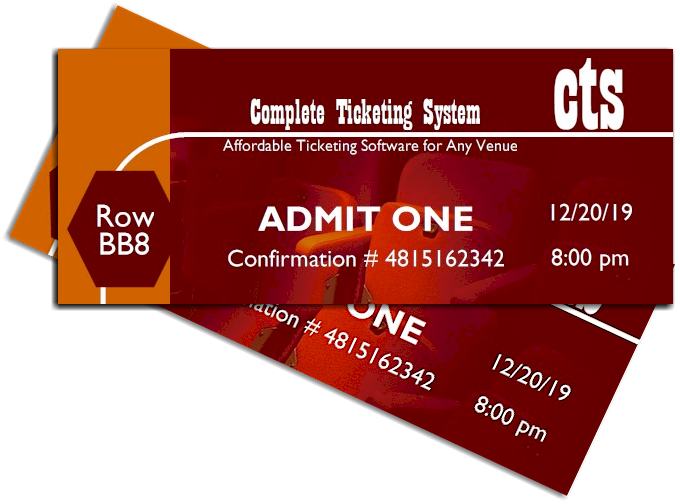 We offer the affordable ticketing software for any venue. See what the Complete Ticketing System will allow you to do. If you have any questions about our software, please contact us via one or more the various methods listed below. We will respond to your request, as soon as possible. The Complete Ticketing System manual has the answers to many common questions. If you would like to review the manual, you can download the pdf version, via the link below.